Not so long in the distant past, plumbers took a lot of time in order to locate the cause of sewer line problems. It was expensive and messy resulting in the yard looking dirty and unkempt. Home owners and businesses had to endure with trenches being dug up in order to find out where a problem was. Restoration took a lot of time and money. Even after restoration had been done, the area did not look like before. The damage had already been done. Home owners and businesses do take sewer lines and plumbing systems for granted. When it’s working ok, home owners and businesses forgo the annual inspection which would save them a lot of money. The only time that home owner’s pay attention to sewer lines is when a problem occurs. It may be a crack on the sewer line allowing waste water to flow to the ground surface or soil has blocked the pipe’s path preventing proper flow of waste water. This resulted in back flow of waste water into the home creating a mess. Thanks to modern technology, home owners can benefit from sewer camera inspection in Lawrence. This refers to modern technology where contractors have equipment composed of a fiber optic video camera connected to an HD screen. The camera itself is high definition which provides clear videos of the sewer line. The fiber optic cable is surrounded by a strong material allowing it to be flexible. The tip with the HD video lens is inserted at one end of the sewer line pipe. Smith Plumbing experts monitor the video lens using an HD video monitor. Thanks to the clarity offered by the video lens, professionals are able to determine clearly where the problem is. Furthermore, the equipment records video footage allowing experts to inspect it in order to find upcoming problems. What problems can be detected with Sewer Camera Inspection? Sewer lines are commonly buried beneath the ground during the construction of the home. Once the home is completed, the yard is landscaped with grass, flowers and trees. Trees are beneficial in that they offer shade during a hot day and a perfect spot for family members to spend their weekends. There is one problem that arises with the tree roots. 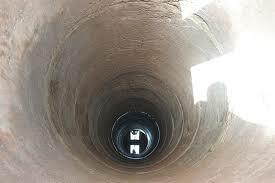 While searching for nutrients and water below the ground, they do result in the cracking of sewer lines. This may happen if the sewer line is aged and made with easy to destruct material. Once this happens, soil and stones find their way into the crack resulting in blockage. Furthermore, waste water will begin flowing towards the ground surface creating a mess as a result of the blocked sewer line. It was difficult to install one long pipe from one section to another without having joints in between. Different lengths of pipes were used creating sections and over time the ground may shift and settle. This results in the sewer pipes being pushed in different directions. This breaks the joints creating a ridge that traps debris leading to a clog. From the surface, it is impossible to determine where the clog is located. With sewer camera inspection in Lawrence, the job is much easier and happens within a few minutes. Plumbing experts do ensure all care is upheld during installation of sewer lines. Despite all the care taken, sewer pipes may be crushed or bent. This is caused by lack of inadequate support under the sewer lines. This may happen during construction or when the soil is compressing and settling after being dug up. It can also happen when extensive landscaping has been done especially when huge rocks are added over the sewer lines. Smith Plumbing experts use video inspection tools to help find out the problem. One way sewer camera inspection experts in Lawrence know that the problem is brought about by crushed or bent pipes, the video lens will hit water and further one, it will be clear. This shows that water has collected at a particular low point in the sewer line. Once the problem has been located, a digital locator is used to pinpoint the exact location and depth. This helps to eliminate any guess work and the probability of digging. Do not wait until the problem escalates and increases repair costs. You need to take an initiative and book an appointment with Smith Plumbing sewer camera inspection contractors in Lawrence. They are well trained, highly experienced and well equipped. Our services are of high quality with guaranteed satisfaction. Call Smith Plumbing today for any sewer line video inspection needs.